Set against the fascinating and moody backdrop of a mysterious boarding school, this intricately crafted novel is filled with magical realism, gothic settings, and the perfect hint of romance. Seventeen-year-old Penny is a lead dancer at the Grande Teatro, a finishing school where she and eleven other young women are training to become the finest ballerinas in Italy. Tucked deep in the woods, the school is overseen by the mysterious and handsome young Master, who keeps the girls ensconced in the estate – and in the only life Penny has ever known. But when flashes of memories – memories of a life very different from the one she thinks she’s been leading – start to appear, Penny begins to question the Grande Teatro and the motivations of Master. With a kind and attractive kitchen boy, Cricket, at her side, Penny vows to escape the confines of her school and the strict rules that dictate every step she takes. But at every turn, Master finds a way to stop her, and Penny must uncover the secrets of her past before it’s too late. 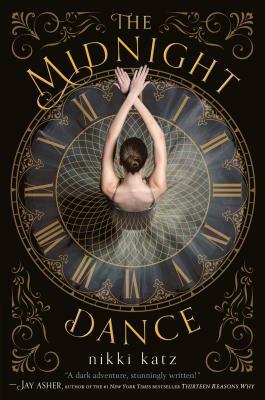 Debut author Nikki Katz delivers a unique and haunting twist on a classic fairy tale with The Midnight Dance, chosen by readers like you for Macmillan's young adult imprint Swoon Reads. NIKKI KATZ is a recovering rocket scientist, author, editor, and freelance writer who lives with her three children in the perfection that is San Diego. Favorite activities include chauffeuring her kids around town, reading fantasy and sci-fi, baking unhealthy desserts, watching reality TV, and scrolling social media feeds. Her books include the young adult novels The Midnight Dance and The King's Questioner, as well as nonfiction books in the puzzle and game arena.